These clear PET jars feature wide openings and tall walls with an indented labeling area to easily fill, dispense, and decorate. The compatible black spice caps offer customers the option to pour or sift seasoning blends, dry rubs, and more. Included within each cap is a PS113 liner, with "Sealed for Freshness" printed. 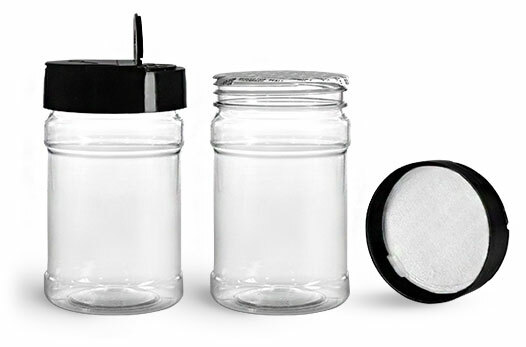 This pressure sensitive liner adheres to the rim of the plastic jars once the closure is securely screwed on.